My daughter Clare, Sam (her boyfriend) and I went to Stodmarsh today. 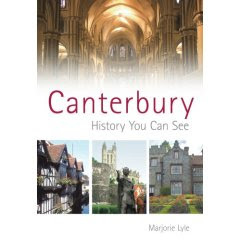 It is a very small village not far from Canterbury. We visited St Mary's Church and after a walk in the village, we went to the local pub. Unfortunately, when we got there there was nobody in to serve us. I wondered if they use a honesty system there, where you get your drinks and leave the money on the till. We shouted and I even called the pub but after hearing the phone ringing and ringing and no one coming we gave up. 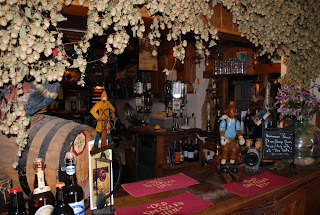 This is the inside of the pub and as you can see it is so full of character. It looks lovely! I have a Claire too! What a pretty picture! And what a crazy story of no one in site or within earshot in the establishment! How old is your Clare? I know it is crazy but on the other hand it is a great place to live don't you think? A place where even the pub is left unattended and no one comes to steal anything. I hope the staff is okay ... When enlarged I see "Old Speckled Hen" mentioned several times. Is this the name of a beer or ale? Thanks for registering at the Daily Photo Map. A thumbnail of your latest photo now appears on the map. Absolutely, Rose! It is both charming and refreshing that there still are such places in the world. I love it that you are sharing them with us!